We are happy to introduce the easiest 1-Click solution to reclaiming control of your carpet - The Caraselle Acana Carpet Control Attack Pack. 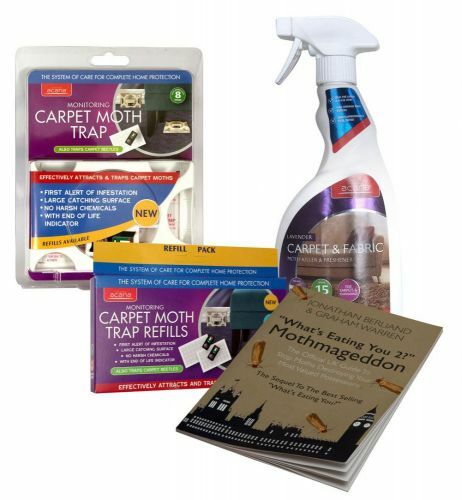 This Pack offers a group saving on some of our best sellers and our brand new Carpet Moth Monitoring Traps from Acana - the leading Moth Control brand in the UK. 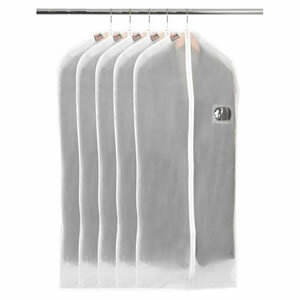 Buying separately, this items would come to £42.22 - save 31% with this bundle! Using the latest technology and simple, discreet design, the Moth Trap acts as a Monitoring device to find the most infested areas in the room/home. 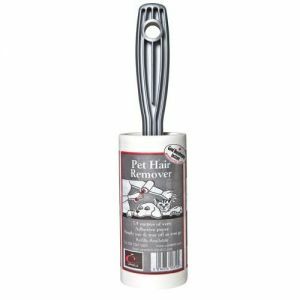 The Killer Treatment Spray can then be used more effectively and eradicate the infestation. The Caraselle Moth Book is exclusive to us. Our team has lovingly written, deisgned and published "What's Eating You?" to help the public learn the facts about Moth Killing and Prevention - and ultimately take care of their clothes! Save your most loved garments, furnishings and carpets with 30 years of expert knowledge condensed to a pocket-sized handbook.